Sarah Van Pietersom hunted the opener of the 2018 Wisconsin gun deer season. Giant! 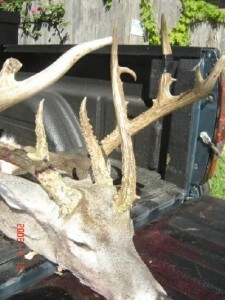 The buck was estimated to be around 6 years old, and he looks it in the picture. Sarah said she became interested in hunting by sitting with her fiancé while he hunted when they started dating six years ago. Four years ago, she took a hunter safety course and started hunting on her own. Great, way to go Sarah! From the York Dispatch: “The (Pennsylvania Game Commission) reported that a total of 374,690 deer were harvested during the state’s 2018-19 hunting seasons, which closed in January. The 2018 antlerless harvest of 226,940 was up about 10 percent over last year. 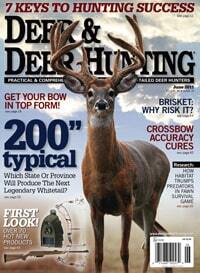 Data show that most does—64%–killed by hunters were 2.5 years old, and the remainder were 1.5 years old. The 2018-19 buck kill of 147,750 was down 10% from the previous season. The commission says that steady, heavy rain during opening weekend of gun season was the biggest reason for the decline—it kept a lot of hunters out of the woods, and the bucks didn’t move well in the poor conditions. During any year, about half of Pennsylvania’s overall buck harvest typically occurs on opening day of firearms season. It’s like that in many states. In a positive trend that you see in states across the country, the percentage of older bucks in the 2018-19 PA harvest was high. About 64 percent of the bucks shot by hunters were at least 2½ years old. 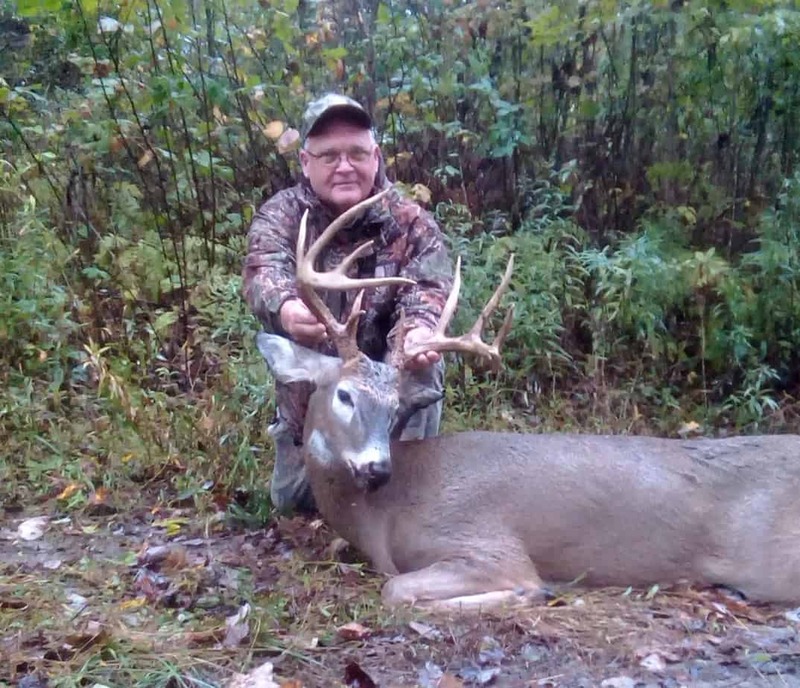 In the photo: Longtime BIG DEER blogger Terry “Big Daddy” Murphy shot this buck on October 16, 2018 on his land in Potter County. It was Big Daddy’s 40th archery buck in 40 years of hunting Pennsylvania, which is a 1 buck per year state. 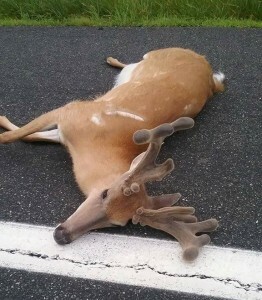 Weird Deer: Longest “Unicorn” Tine Ever! The typical “unicorn” tine–third beam that sprouts out a buck’s forehead—is 1 to 4 inches long. The middle tine in this picture appears to be 13 inches or longer, likely making it longest unicorn tine ever on a whitetail. 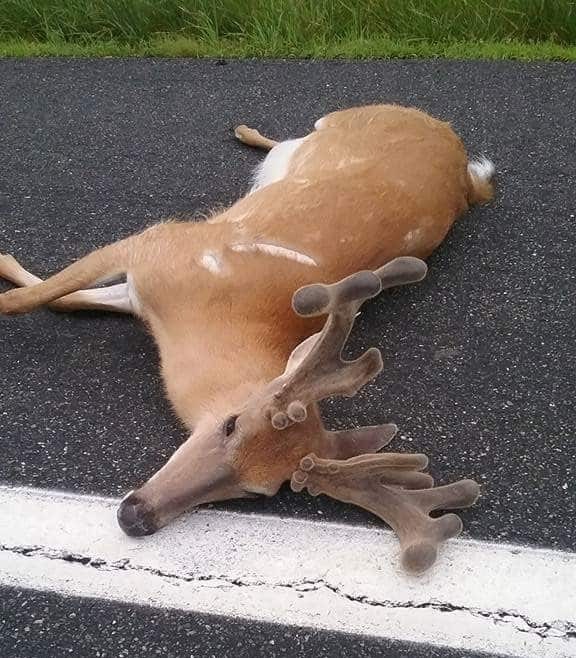 Biologists note that a unicorn tine is caused by trauma to the frontal bone on a buck’s forehead. This entire region of the skull is capable of growing antler, and if an area of the frontal bone is injured (such as a tine puncture from another buck) the trauma may cause a third antler to grow from the injury. How rare is a unicorn buck? Short answer, very. Noted whitetail scientist Mickey Hellickson says that during his days of researching wild whitetails on the King Ranch in Texas, he and his team captured more than 4,000 different bucks, and not one was a unicorn!